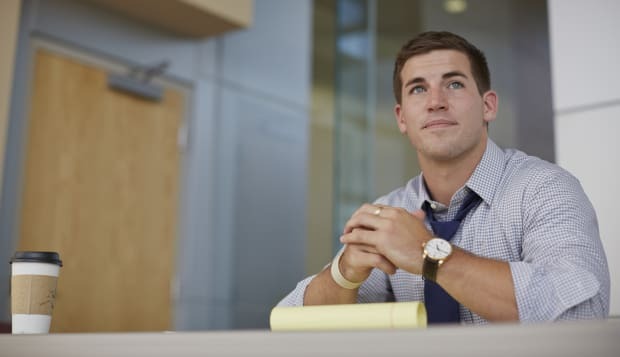 Landing a job is one thing, but figuring out how to prove yourself and get promoted in those first few years is an entirely different ball game. The first hurdle for millennials is dispelling common misconceptions about their generation. David Goldin, founder and CEO of Capify — the first alternative finance platform for small and medium-sized businesses in the US, UK, Australia and Canada — says more seasoned professionals tend to have some negative perceptions (most of which are misconceptions or generalizations) of millennials, such as: they aren't motivated to do things on their own — they want everything to be done for them; they're not effective communicators; they don't want to be coached, mentored, or managed; and they don't want to earn the promotion, they expect it to just be handed to them. "The good news is, millennials are actually the most creative, entrepreneurial, and technologically savvy of all in the workforce," Goldin says. "They can be a tremendous asset to any growing organization, as long as they understand how to overcome these perceptions and help their managers unlock their potential." 1. Accept that there are going to be "rules to the game." Goldin says that millennials shouldn't jump into a role and want to change every policy that they don't agree with. The established rules are in place for a reason, and it's up to the newcomers to learn the ropes of the company. "Trust the process," advises Goldin. "And show you can focus on playing by the rules instead of fighting them." 2. Create your own goals at work and work hard to achieve them. Millennials should proactively set goals for themselves, instead of waiting for others to give direction. Not only that, but it's imperative to show your boss reliability and progress before asking for additional responsibility. "Think about what motivates you most — whether it's title, money, visibility within the organization — and set short and long term goals and hold yourself accountable to accomplishing them," Goldin says. "Show tangible results consistently before asking to take the next step." 3. Communicate effectively with your supervisor and more senior colleagues. Goldin says that some seasoned professionals prefer in-person communication as opposed to virtual (which is what most millennials are accustomed to). Find out what their preference is. If they do like face-to-face, then instead of sending Slack messages or emails all day, go the extra mile and stop by your manager's office to chat. But don't constantly disturb them while they work — always let them know when you are stopping by or schedule meetings ahead of time. And if they prefer email or IMs, still make an effort to discuss important matters in person. It's just the professional thing to do (and it's easier for things (like tone) to get lost in translation via instant message). 4. Determine what works and become invaluable. "Take time to understand what success metrics your manager and/or company has," Goldin says, "And leverage your strengths to align yourself to become a resource to them ensuring their success." He advises millennials to interpret what's needed and what's valued within the company, and capitalize the applicable qualities: "Become a strategic asset to your manager and company." To quell the common misconceptions about millennials' lack of independence and inherent know-how, Goldin says that the younger generation should focus on intently learning the appropriate skills and becoming independent at work as quickly as possible. "Proactively seek assistance on how to operate more autonomously," he says. "Don't just say 'I don't know how' to do something and expect someone else to do it. When a manager takes the time to show a new skill, take notes and show that you want to learn so that next time you can handle the responsibility on your own."